Nasi Lemak , a very popular rice dish that comes along with many different dishes filling up the plate, different varieties between different cultures in South East Asia. What does Nasi Lemak means ? In the most simplest analogy, it’s rice cooked in cream whereby the rice would be soaked with coconut milk, steamed/cooked and pandan leaves would be thrown in to give a nice fragrance to the rice. Ponggol Nasi Lemak, cooked and prepared by the Chinese, is a popular outlet for the residents living in the Upper Serangoon/Hougang area and people from other parts of Singapore too, especially in the late hours and a highly popular supper location. 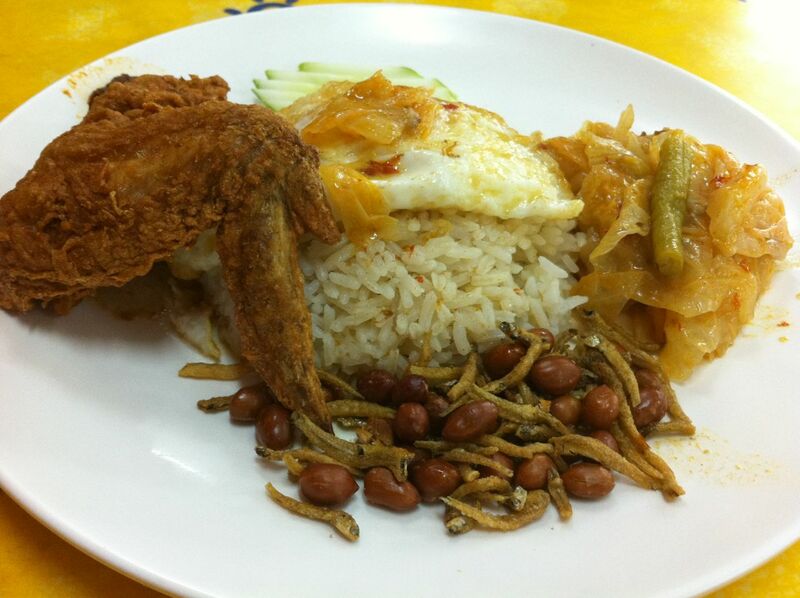 What makes this Ponggol Nasi Lemak that popular ? Before I go in depth further, take a look at the combination of dishes on my Nasi Lemak ! My plate is filled with ikan bilis (deep fried anchovies) with peanuts, egg, deep fried chicken wing and curry vegetables. There are other dishes available as well and it would be up to you what kind of combinations you would like to have on your plate of Nasi Lemak. 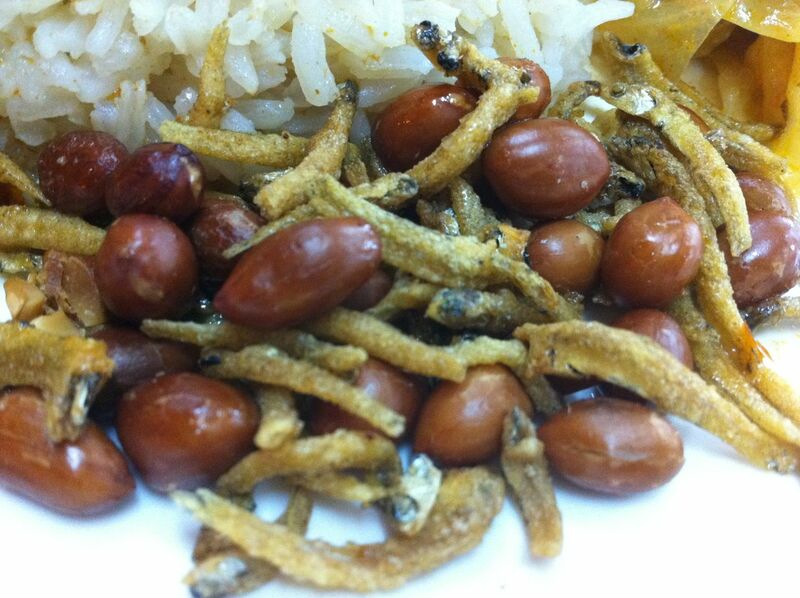 Let’s start with the rice, nice and delicious fragrance, the ikan bilis with peanuts is nicely fried and crispy. 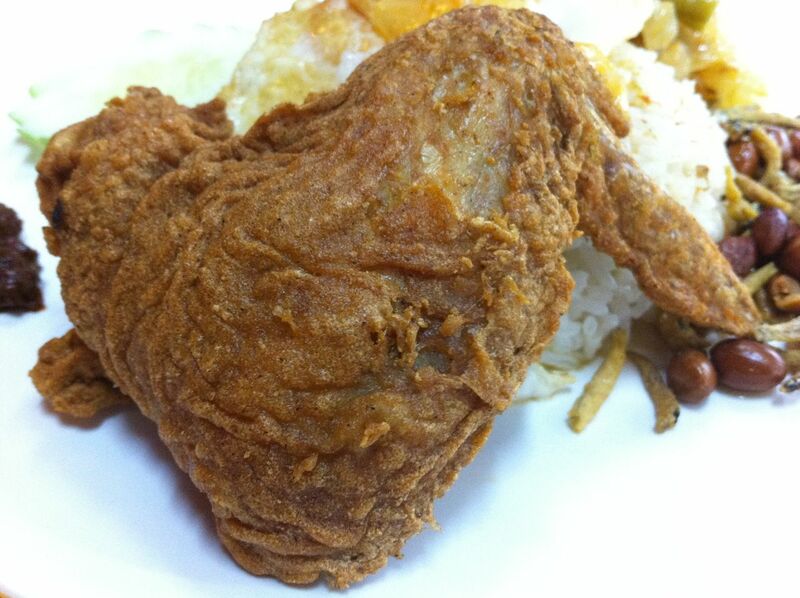 The chicken wing / chicken drumstick is one of the main attraction there and it is highly popular among the people queuing up for the Nasi Lemak. You have to visit Ponggol Nasi Lemak and have a taste of Nasi Lemak (Chinese style)!